"Research has found that staring into a full bin will not create space." We're all guilty of it, in almost every area of our lives; we think by doing nothing, things will just appear in our lives --such as the love of our life. Nope, doesn't work. As a matter of fact, Newton was correct: an object at rest tends to stay at rest. Translation: no change. How'd You Get Friends On Facebook? So you have 567 friends on Facebook; I suppose they just appeared. Let's take a few steps back in time. Before they became your friends on Facebook, more than likely they became your friend in the real world. For that to happen, you had to meet them, be it at a party, the health club, or through an existing friend. It probably didn't happen at home; you had to get off your duff and meet them. Next, you had to make the effort to reach out to them and friend them on Facebook. 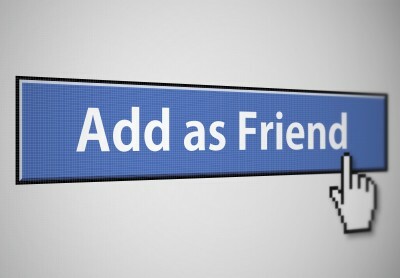 Before you know it, you now have 567 friends on Facebook. No, it didn't happen overnight and it most certainly didn't happen on its own. This proves you can do it! You have the ability to make things happen. Do you toss aside your monthly credit card statement without checking it? First of all, you may find charges on it that aren't yours. It could be someone has made unauthorized charges to your account. Even if that's not the case, you might want to take an active approach and glean the statement for items you can live without. If you aren't spending the money, you'll be saving it. If you use a debit card, you need to perform the same activity to your bank statement. Take a look at your insurance, be it for medical or car. By taking an active approach, comparison shopping or even asking for discounts, you'll find ways to keep those premium dollars in your pocket. On a smaller level, take a walk through your daily expenses. Food is a good place to start. I love meat, and I generally don't eat things that are green, but you can save money on vegetables. Simply preparing food yourself will save you up to 80% on your food bill. Yes, that's not a typo: 80%! You have to get up from your chair, go to the store, cook the food, and yes, clean up after it, but you'll have more dollars to spend elsewhere. Ben Franklin once said something to the effect of, if you keep more money, you'll effectively be earning more money. And now, the other half of Newton's Law: an object in motion tends to stay in motion unless acted upon by an external force. There you have it: once you get started on making your life more active, the activity will manifest itself in all other areas of your life. Who knows, you may add another 567 friends. So to answer the question we posed at the beginning, "Can Doing Nothing Create Money?" No. But you can create money by spending less of what you make. What other creative ways are there to actively keep more money?